Serving the Merrimack Valley and beyond for 25 years, All Around Cleaning Services specializes in both residential and office cleaning services. 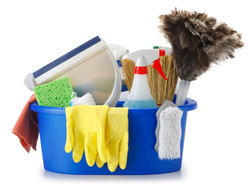 Fully licensed and insured, All Around Cleaning Services also provides professional references. We offer free estimates for one-time cleaning services and for regularly scheduled cleaning services. We also offer specials to Realtors looking to clean a house or apartment before a sale or rental. Please feel free to give us a call at any time. You may also contact us via email. Please see the Contact Us page for further instructions and the Coupons page for additional discounts. _All Around Cleaning Services - Big or Small, We Do it All !! !